Conservation Northwest recently hosted three habitat restoration events just east of Snoqualmie Pass to support animal use of areas near new I-90 Wildlife Crossings, and to advance objectives of our new Central Cascades Watersheds Restoration program. Volunteers did a great job pulling on their work gloves and giving a new home to native vegetation near Gold Creek and the Lake Kachess Campground. The vine maple, serviceberry, snowbrush, ocean spray and flowering red currant they planted were locally-sourced and adapted to this region, increasing their rates of success. In total, our three volunteer events included 68 volunteers who planted more than 800 plants and contributed 590 volunteer hours to habitat restoration. Weather was on our side, and the crisp September air was the perfect temperature for digging in the dirt. The valleys of Snoqualmie Pass were dotted with patches of bright-red vegetation, making an excellent backdrop for the nearly-completed I-90 overcrossing. This structure will be the first wildlife bridge over a major highway in Washington state, and a major milestone in an effort we’ve long championed! These restoration sites are important to the movement of many species in the Snoqualmie Pass corridor. Along with the six large wildlife undercrossings that have been completed, restored habitat improves connectivity and supports species including mule deer, elk, black bear, cougar and wolverine safely crossing the interstate. The nearby Gold Creek and Box Canyon Creek are both important spawning grounds for endangered bull trout as well as kokanee salmon. By collaborating with the Okanogan-Wenatchee National Forest, Conservation Northwest is able to respond to high-priority areas in close proximity to these wildlife crossings. Some of the shared goals between the Forest Service and our Central Cascades Watersheds Restoration Program are to increase diversity and native ground cover for the restoration sites, enhance cover in riparian areas, reduce erosion and create shade near creeks. Our work will also help mitigate human impact on the landscape, as our sites experience frequent recreation for part of the year. We want to thank all of the volunteers who came out to participate in our planting and restoration events, including employees from Microsoft, New Seasons Market and Experience Momentum. These projects were made possible thanks to generous contributions from Deacon Charitable Foundation and the Norcliffe Foundation—thank you for your support! Every native plant you placed in the ground directly supports the goals of our Central Cascades Watersheds Restoration Program, which include connecting north-south habitat and improving watershed health. 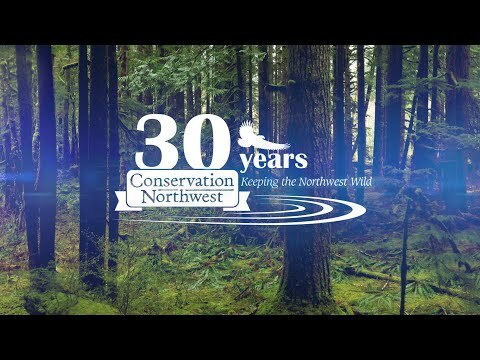 Learn more about our I-90 Wildlife Corridor Campaign and Central Cascades Watersheds Restoration Program!